Learn to pronounce words correctly so you can be better understood. Hear your accent disappear by the end of the course. Feel more confident about speaking English. Your words will be clear and have intonation. The class is fun and will help you in your social and professional interactions with others. If you want to learn how to give a report or presentation where you will feel excited and confident, then this is the class for you! Just think how good it will feel if you can speak comfortably and with confidence. You will enjoy speaking like you never thought possible. Fun and easy, and you will not be nervous standing in front of a group after you take this class. Learn what to say when meeting new people, feel comfortable when speaking in front of small and large crowds. Learn how to prepare for successful presentations at work or other organizations you are involved in. Our conversationally oriented French courses will cover the basics of speaking and reading. 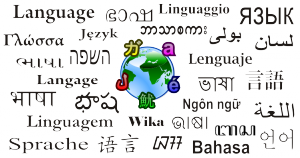 The first level is designed for students who have had little or no instruction in or exposure to the language. Once students improve, they can progress through all the courses. The instructor is a fun, dynamic person with vast experience in teaching and traveling. The textbook (Bescherelle – English edition) is available for purchase at the school on the first day of class for $25.00. Instructor bio: Dominique Francoeur is a Canadian French speaker from Montreal. While growing up he discovered that languages other than French existed, and learned English at elementary school. Dominique has a wide range of talents and skills including IT technical support, sales, business, ESL teacher, art, photography, etc. He brings to class his humour and funny stories. He taught French in Vancouver for the past 7 years, mostly to adults in Continuing Education and businesses. He as taught for Burnaby Community & Continuing Education almost 2 years now. This course is for beginners who are planning to travel to French-speaking countries. Learn the essential verbs, vocabulary and tools for tourism or business. This is an introductory course designed for learners who have little or no knowledge of the French language. The course is conversationally oriented and will cover the basics of speaking and reading French. Topics covered include: greetings, numbers, days, nouns (feminine & masculine; singular & plural), verbs (present tense; introduction to past tense; être & avoir & -er verbs). The textbook (Bescherelle – English edition) is available for purchase at the school on the first day of class for $25.00. This course is for students who have previously taken a French language course but who are still operating at a basic level. Your vocabulary should already include greetings, numbers and days. You must also have familiarity with using verbs in the present tense and have had some exposure to using verbs in the past tense. Topics covered include: future tense, conditional tenses, negative sentences and important verbs such as faire, aller, vouloir, pouvoir. The textbook (Bescherelle – English edition) is available for purchase at the school on the first day of class for $25.00. This course is designed to expand vocabulary and increase general fluency through communication situations. At this level, all instruction is in French. Conversational grammar points include: more verb conjugations (imperfect, passé composé, future); descriptive & possessive adjectives; conjunctions & the subjunctive; possessive & interrogative pronouns. Writing exercises will be assigned as homework. The textbook (Bescherelle – English edition) is available for purchase at the school on the first day of class for $25.00. Are you traveling to Italy soon? Use this course to learn the essentials of the Italian language to help with daily issues while traveling; this is a beginner course and no previous knowledge of Italian is required. Topics covered include: greetings, common expressions, how to order from a menu, and how to ask for directions. No textbook is required. The teacher will provide handouts and links to helpful websites. This course is designed for people with little or no knowledge of the Korean Language. Korean is a phonetic language, thus making it easy to learn to read. The course includes basic grammar and communication phrases. The instructor is certified to teach Korean as a Foreign Language and has many years of teaching experience. No textbook required; handouts will be provided. Instructor bio: Regina Yoon is certified to teach Korean as a Foreign Language and has many years of teaching experience. This course is designed for people with little or no knowledge of the Korean Language. Korean is a phonetic language, thus making it easy to learn to read. The course includes basic grammar and communication phrases. Our courses are designed for people with little or no knowledge of Mandarin Chinese. These courses help students to master pronunciation through English letters (HanYuPinYin). Students will pick up basic communication phrases and sentences using topics related to daily life as they are led to learn and internalize the sounds of Mandarin Chinese. When complete, students will confidently pronounce HanYuPinYin noted Chinese characters and phrases and will have learned to use various online resources to facilitate their learning. Access to the required online course textbook is included in the course fee. Instructor bio: Victor Chui is certified with TCSOL (Teaching Chinese to Speakers of Other Languages). You will find him energetic, enthusiastic and very helpful. This is an introductory course for students who have little or no knowledge of Mandarin Chinese. Upon completion, you will have a firm grasp of Mandarin pronunciation, understand easy sentences about everyday activities, and have a strong foundation for future advancement. Topics covered include: Mandarin sounds and pronunciation using English letters (HanYuPinYin), useful words and expressions, and an introduction to Chinese culture and traditions. The topics learned will be put into practice with extensive in-class oral practice, and various online resources will be presented. The required textbook will be available online without additional charge. This course continues the introduction to Mandarin Chinese started in Level 1. The vocabulary and skills taught in the lessons are centered on activities of daily life. Topics covered include: mastering HanYuPinYin, expanding basic oral communication skills. Students will practice their language skills with role play and group activities to quickly become more productive in terms of speaking Mandarin. The required textbook will be available online without additional charge. Russian is widely used across much of the former Soviet Union and Eastern Europe and is appearing increasingly in major cities in Western Europe and North America. Russian is the language of some of the world’s greatest writers, composer, artists, performers and scientists. Learn to speak Russian with an easy-to-learn phonetic system. Read and write the Cyrillic alphabet, learn vocabulary and immerse yourself in authentic conversation. You will learn four language skills; reading, writing, listening, and speaking. This basic communication course offers simple real world dialogues and role-plays supplemented by phonetic practice and some writing. This course is for beginners. The book is not required until the second class (‘Yes, I Speak Russian’ by Karentnikova). The instructor will give more detail re book at first class. Our Spanish language courses are taught by native Spanish speaking instructors. Courses are offered at 2 locations: Burnaby Central Secondary School and Burnaby South Secondary School. The textbook is extra ($35) and can be purchased on the first day of class. The textbook (Soleado 1) is available for purchase at the school on the first day of class for $35. Spanish Level 1 B builds on the Level 1 A course. Students will learn how to describe people and places, talk about family, order food in the restaurant, express likes and dislikes, make general purchase, ask for directions and discuss future plans. Students are encouraged to constantly interact with one another in practical and simple conversations, giving them the opportunity to communicate in Spanish immediately and effectively. Prerequisite: Spanish 1A or similar. The textbook (Soleado 1) is available for purchase at the school on the first day of class for $35. This Spanish course is designed for upper beginner students who already know the basics of the language, understand the present tense, and can respond confidently in simple everyday situations. Topics covered include: reflexive constructions, past tense of the basic regular and irregular verbs and main uses of the prepositions por/para. The topics learned will be put into practice with interactive and communicative activities. The textbook (Soleado 2) is available for purchase at the school on the first day of class for $35. This course teaches advanced grammatical features of the Spanish language. Topics covered include: past tense of the basic regular and irregular verbs, imperfect tense, formal and informal imperative forms and subjunctive mode. The topics learned will be put into practice with interactive and communicative activities. The textbook (Soleado 3) is available for purchase at the school on the first day of class for $35. This is an advanced level Spanish language conversation course. Students must have completed Spanish – Level 3 or have equivalent skills.